Influenza, commonly known as "the flu", is an infectious disease caused by the influenza virus. Symptoms can be mild to severe. The most common symptoms include: a high fever, runny nose, sore throat, muscle pains, headache, coughing, and feeling tired. These symptoms typically begin two days after exposure to the virus and most last less than a week. The cough, however, may last for more than two weeks. In children, there may be nausea and vomiting, but these are not common in adults. Nausea and vomiting occur more commonly in the unrelated infection gastroenteritis, which is sometimes inaccurately referred to as "stomach flu" or "24-hour flu". Complications of influenza may include viral pneumonia, secondary bacterial pneumonia, sinus infections, and worsening of previous health problems such as asthma or heart failure. Three types of influenza affect people. Usually, the virus is spread through the air from coughs or sneezes. This is believed to occur mostly over relatively short distances. It can also be spread by touching surfaces contaminated by the virus and then touching the mouth or eyes. A person may be infectious to others both before and during the time they are sick. The infection may be confirmed by testing the throat, sputum, or nose for the virus. A number of rapid tests are available; however, people may still have the infection if the results are negative. A type of polymerase chain reaction that detects the virus's RNA is more accurate. Frequent hand washing reduces the risk of infection because the virus is inactivated by soap.Wearing a surgical mask is also useful. Yearly vaccinations against influenza are recommended by the World Health Organization for those at high risk. The vaccine is usually effective against three or four types of influenza. It is usually well tolerated. A vaccine made for one year may not be useful in the following year, since the virus evolves rapidly. Antiviral drugs such as the neuraminidase inhibitors oseltamivir among others have been used to treat influenza Their benefits in those who are otherwise healthy do not appear to be greater than their risks. No benefit has been found in those with other health problems. 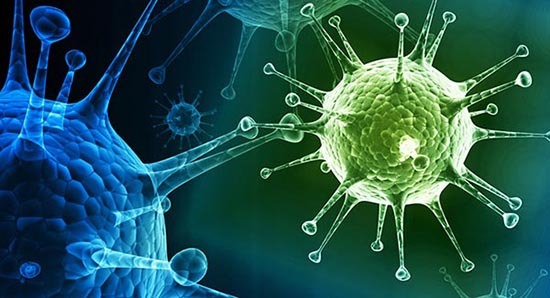 Influenza spreads around the world in a yearly outbreak, resulting in about three to five million cases of severe illness and about 250,000 to 500,000 deaths. In the Northern and Southern parts of the world outbreaks occur mainly in winter while in areas around the equator outbreaks may occur at any time of the year.